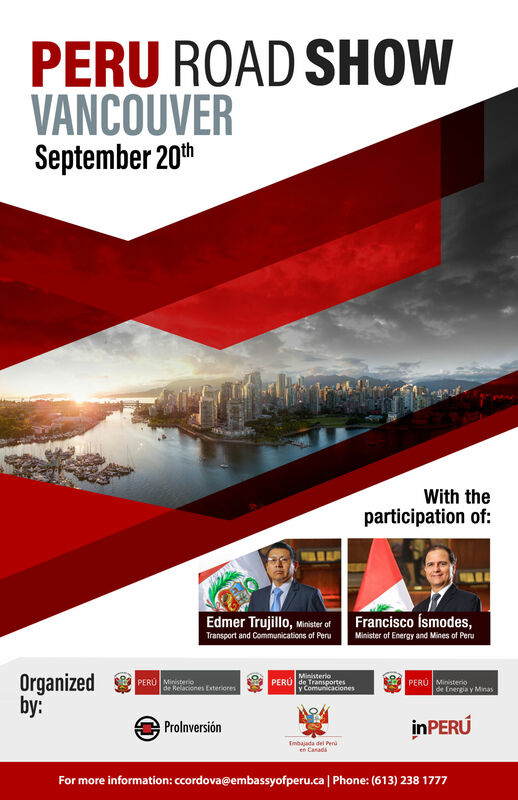 Join us in our next "Peru Road Show Vancouver 2018", which will be held on September 20th 2018 in Vancouver, British Columbia. -Mr. Edmer Trujillo, Minister of Transport and Communications of Peru. 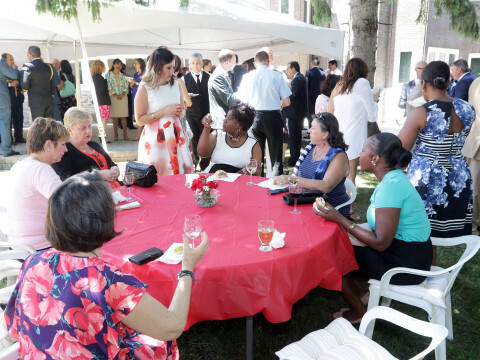 Starting the celebrations on the occasion of the 197th anniversary of Peru’s national independence, on July 17th a reception was offered at the official residence of the Embassy ​​attended by Canadian government officials, representatives of accredited diplomatic missions, senior officials of the local Ministry of Foreign Affairs as well as representatives of Canadian enterprises. Ambassador Roberto Rodríguez Arnillas offered a welcome speech highlighting the auspicious moment in the bilateral relationship with Canada in its various areas. 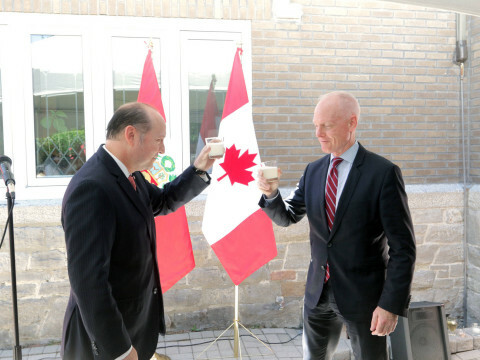 The Associate Associate Deputy Minister of Foreign Affairs for Global Affairs Canada, David Morrison, greeted Peru on behalf of the Government of Canada, highlighting also the special ties that both countries have, auguring positive perspectives of the bilateral relationship. Considering that this reception was an excellent opportunity to promote our gastronomy, typical Peruvian dishes were prepared, accompanied by Pisco Sour and Chilcano. 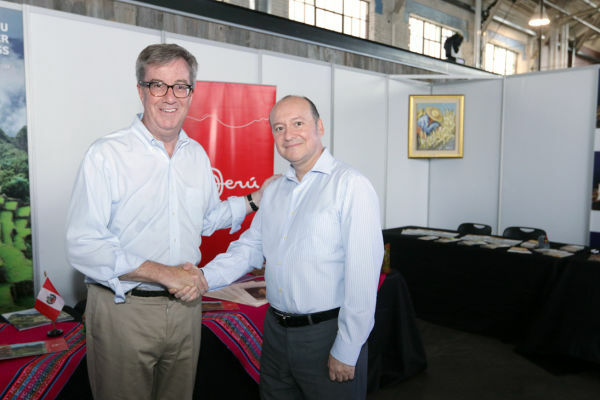 It also had the presence of the company "Bridgehead" which offered free tasting of Peruvian coffee that currently imports to the city of Ottawa. 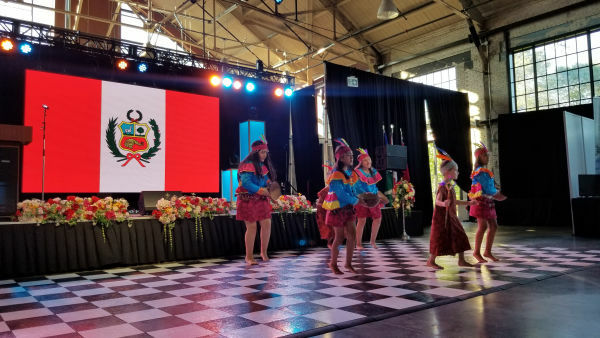 The Embassy of Peru participated in the event "Ottawa Welcomes the World - International Cultural Festival", held in Ottawa on July 1st 2nd and 3rd, as part of the local celebrations for “Canada Day”. 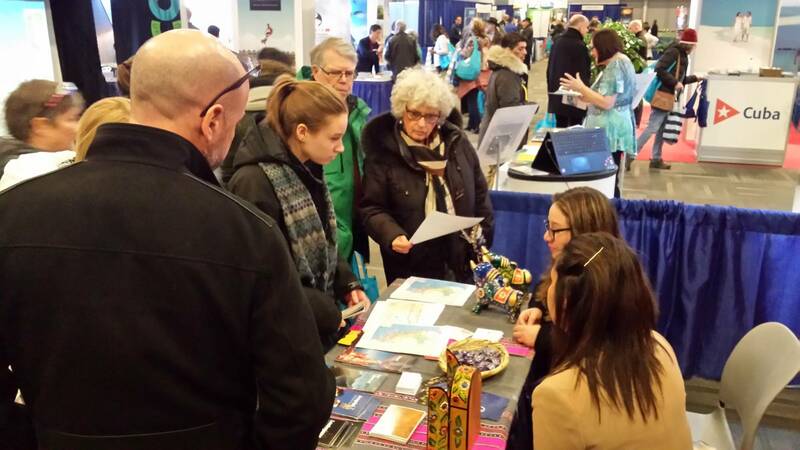 The multicultural event was aimed to show to the Canadian citizens and foreign tourists who visit the city on those days the main tourist and cultural attractions of the countries that participated on this fair. 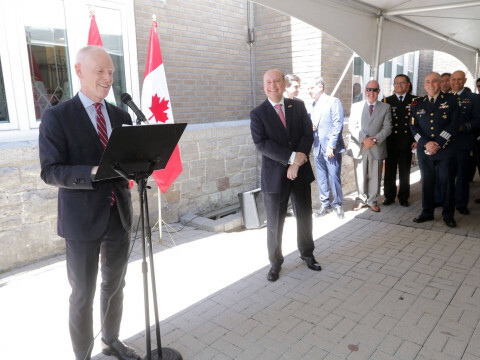 The inauguration of this event, sponsored by the Municipality of the city of Ottawa, was held on Saturday, June 30 with the presence of the mayor of the city, Jim Watson. 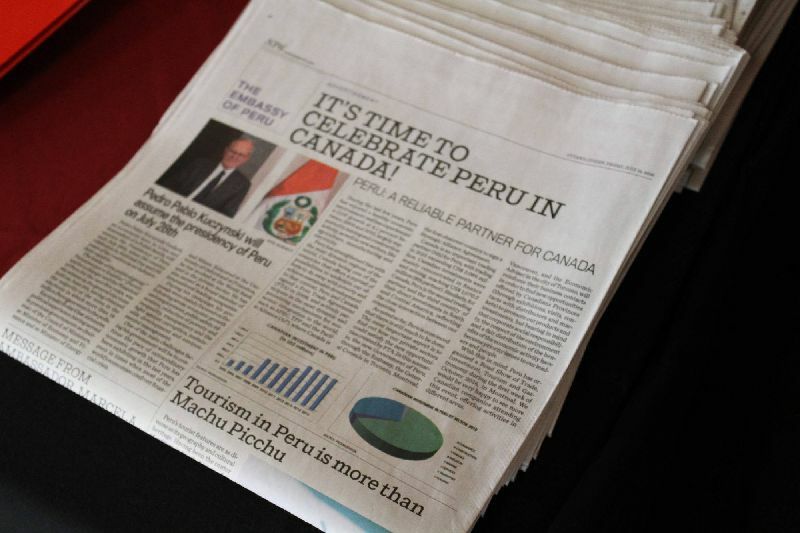 The participation of Peru was very successful, which registered the visit of hundreds of Canadian citizens who showed great interest in the tourist destinations that our country offers. In this sense, our Embassy provided comprehensive and useful information about Peru, its location, climate, geography, best times of the year to travel, traditions and cultural diversity. 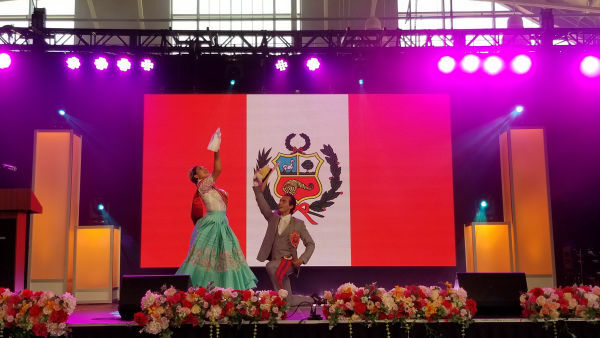 Likewise, and in order to give a sample of our cultural heritage, the Embassy could invite to the event two local Peruvian folkloric groups dedicated to the promotion of typical Peruvian dances ("Club Libertad Filial Ottawa-Gatineau" and "Contigo Perú"). These groups performed dances of different regions of our country, spectacle that was very appreciated by the attendees to the event. 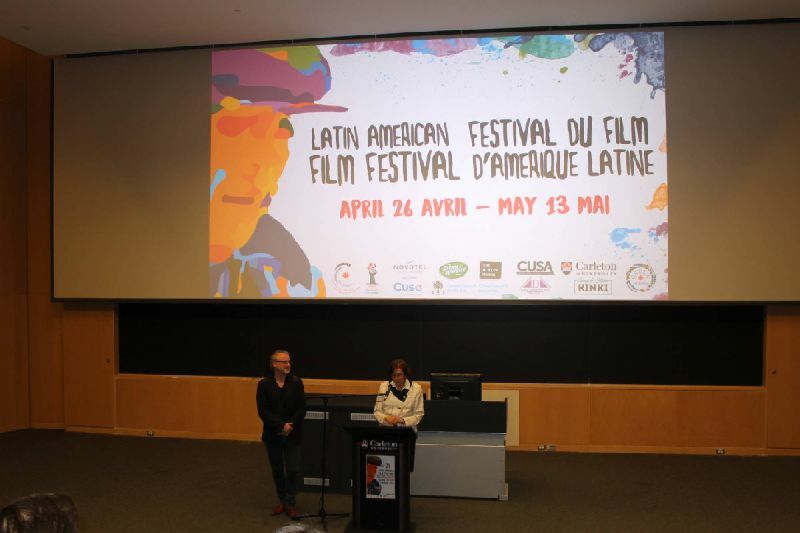 On May 30th, the Peruvian film "Climates" was presented at the 22nd Latin American Film Festival which took place from May 2nd to 31st in which films from 17 countries were screened . 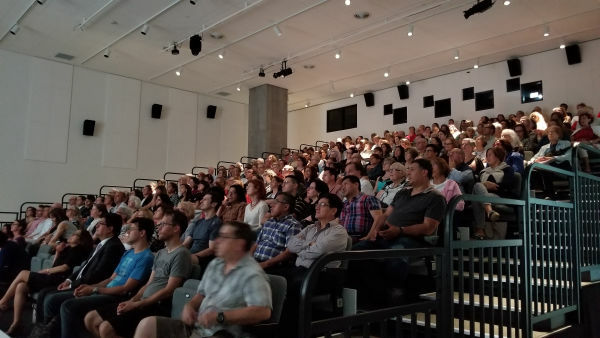 The screening of the Peruvian was sold out, with approximately 250 people attending the film at the Ottawa Art Gallery. 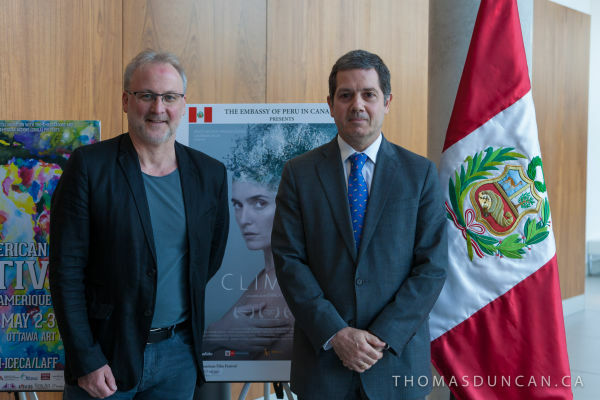 Mr. Tom Mc Sorley, Director of the Canadian Film Institute, organizer of the festival, presented the film to the audience, thanking the Embassy of Peru for making possible its participation in this film event. 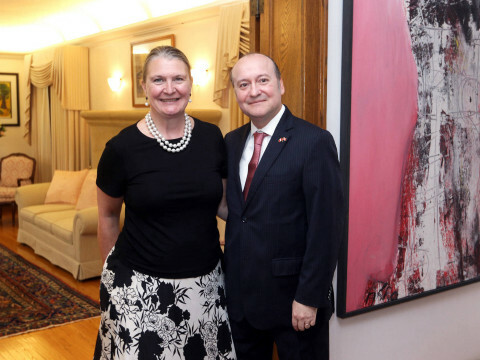 The Chargé d'Affaires of the Embassy of Peru, Min. Carlos Gil de Montes, gave a brief speech to the attendees greeting the celebration of the festival, the excellent organization of the CFI and making a short presentation of the film. The film was preceded also by the screening of promotional videos of Peru and also an introduction by Enrica Perez, director of the film "Climates", through a video specially recorded for this occasion. On May 19th, at a request from the Madrid-Waddington School of the State of New York (USA), a group of senior students visited this Embassy as part of their preparation to participate in the "North Country High School Model Organization of American States" which will be held from June 3rd to 5th at the campus of the State University of New York at Plattsburgh. The students were accompanied by Professor David Bailey. The purpose of the academic visit was to provide students - who will assume the role of Peruvian representatives in the OAS simulated model - information on the progress and challenges of our country in the agenda of the inter-American organization. In this sense, the Counselor Bruno Iriarte gave a presentation and answered the students concerns. 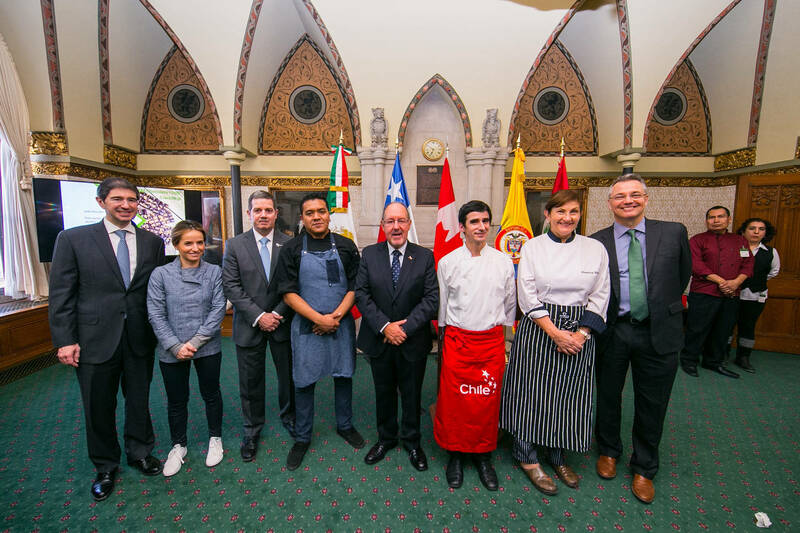 In order to strengthen ties with Canadian parliamentarians, the embassies of the Pacific Alliance member countries accredited to Canada organised the past March 21st the fifth edition of its "Gastronomic Event at the Parliament of Canada". The event was inaugurated by the Speaker of the House of Commons , Geoff Regan. 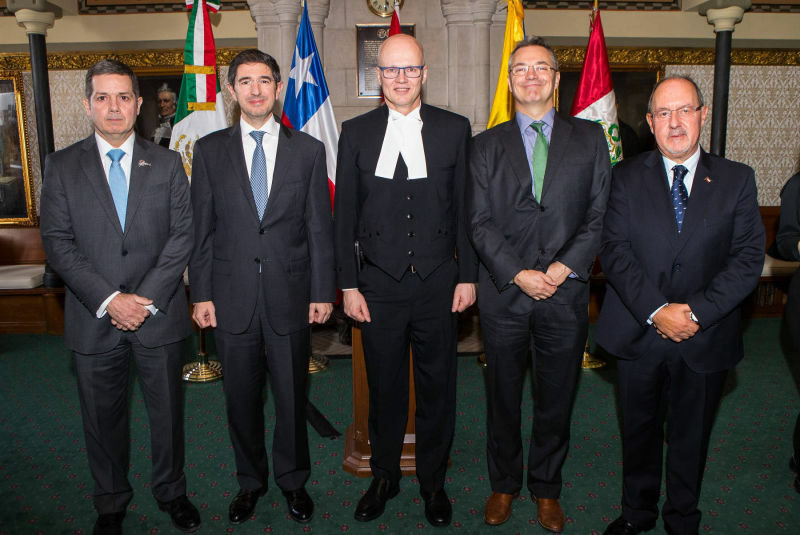 The event was an excellent opportunity to share the progress and achievements of the Pacific Alliance with the members of the Canadian Parliament as well as high authorities of the public and private sector invited for such an occasion. 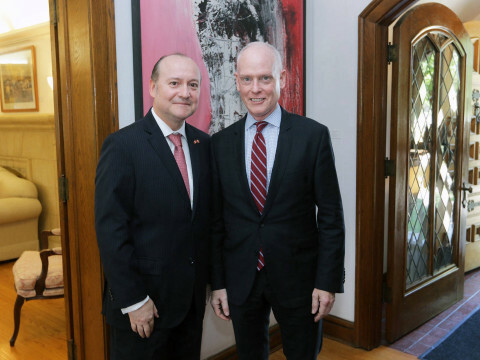 The Speaker of the House of Commons, Geoff Regan, stressed the economic and commercial importance of the Pacific Alliance, the shared values between his country and this bloc, as well as Canada's interest in joining as an associated State. During this event typical dishes from our gastronomy were offered like Ceviche, Causa Limeña, Octopus in Olive Sauce (Pulpo al Olivo), Suspiro Limeño accompanied by our traditional drink Pisco Sour. 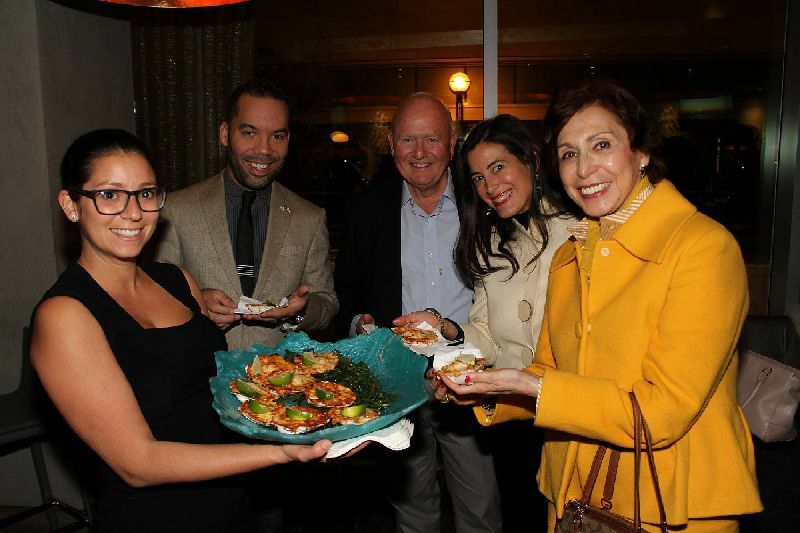 The Peruvian dishes were prepared by Lizardo Becerra, former Chef of the residence of the Embassy of Peru in Canada, who currently works at the Hotel Andaz Ottawa Byward Market. 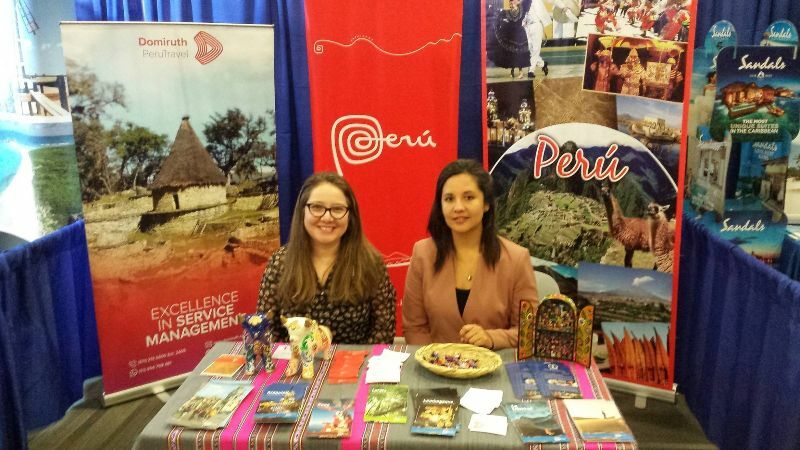 The Embassy of Peru in Canada participated once again in the international tourist event "The Travel and Vacation Show", held in the city of Ottawa on March 17th and 18th, aimed at potential tourists and Canadian travelers. 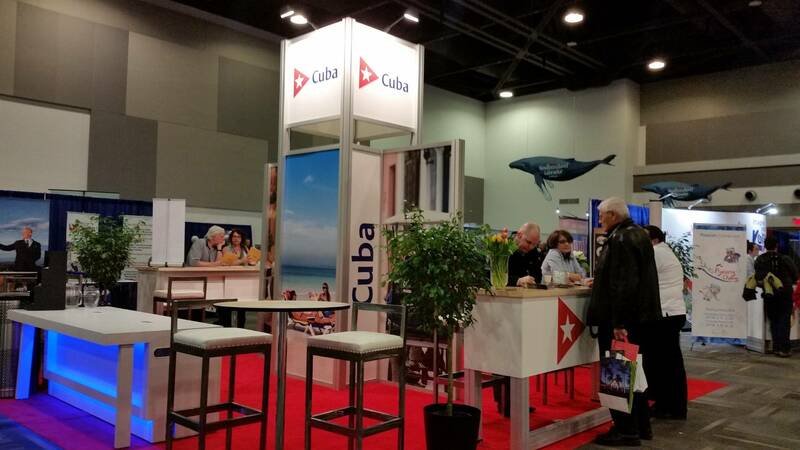 Our country had a successful participation, with hundreds of Canadian citizens with avid interest and curiosity for the tourist destinations that our country offers. In this sense, our Embassy provided broad and precise information about Peru and its culture, main tourist destinations and air routes. 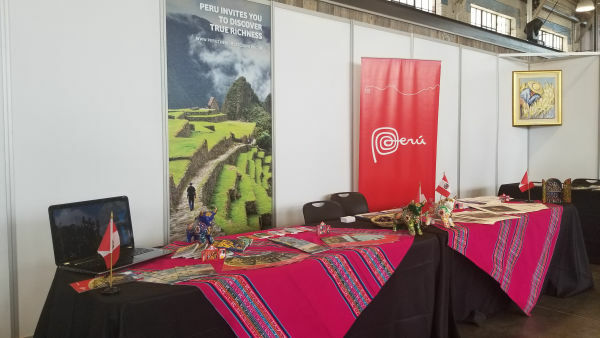 On this occasion, the Peruvian tour operator DOMIRUTH Peru Travel participated in the event along with our Embassy, contributing its extensive knowledge of the tourism sector and offering various options of specific tourist packages for the different needs of visitors to the fair. 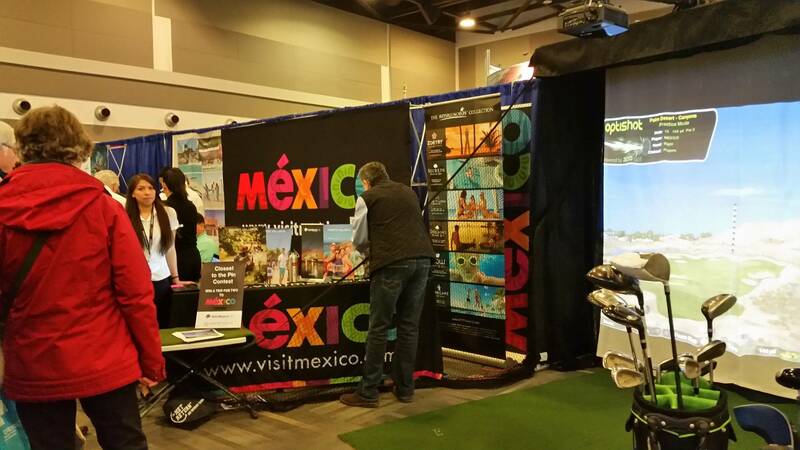 Likewise, it was able to establish new contacts and future business opportunities with various Canadian tour operators present at the event, who were very interested in offering the destination Peru. 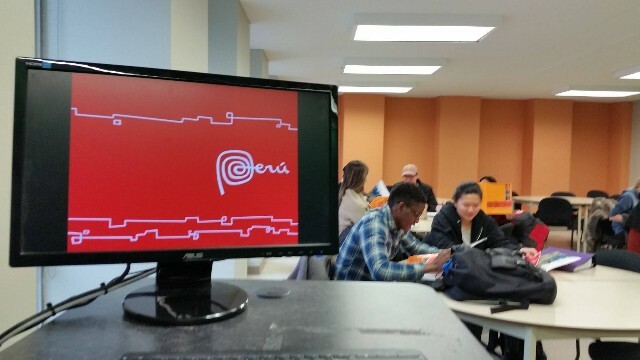 With the aim to promote the image of Peru in Canada, the Embassy of Peru made a presentation on February 15th 2018 to a group of students of the class of Spanish from Carleton University, one of the two most important universities in Ottawa. 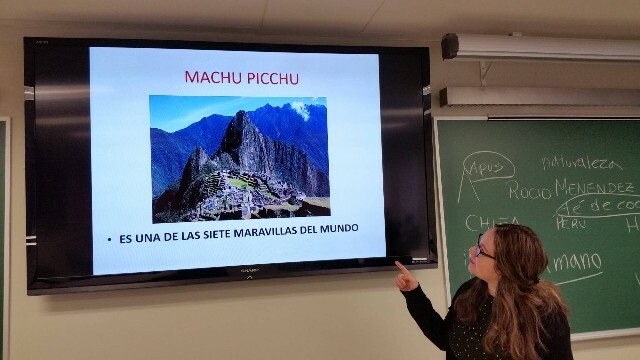 The presentation was given by the Second Secretary Rocio Menendez, Chief of the Consular Section of the Embassy, who gave the students a brief historical summary of Peru, its economy and international trade, as well as its culture, geography, weather, gastronomy and most relevant tourist attractions. Promotional videos were also presented at this occasion. 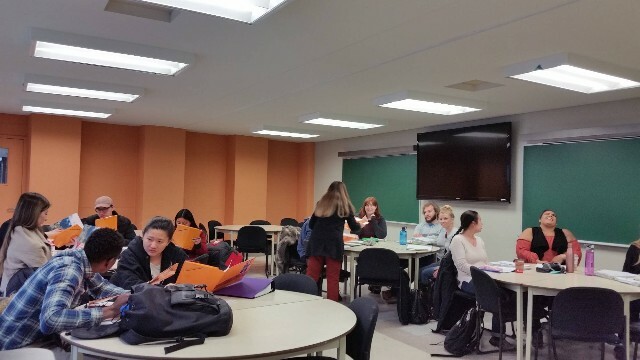 The students showed great interest through their questions, regarding issues like trade with Canada, main Peruvian exports, characteristics of the Peruvian community in Canada, indigenous communities in Peru, travel opportunities and ideal seasons to visit the country and especially Machu Picchu, destination widely known by the students. 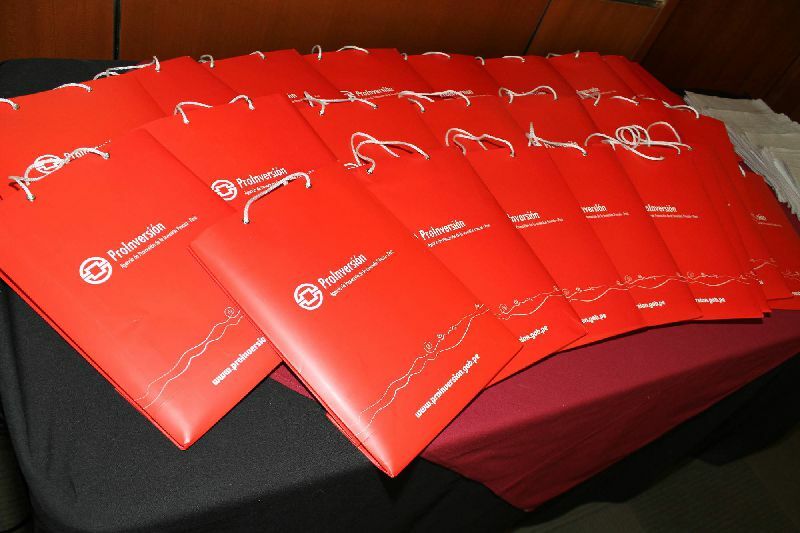 To complement the presentation, the Embassy of Peru gave the students promotional material (folders and brochures) as well as specific orientation from the Consular Section in case any student would like to visit the country in the future. 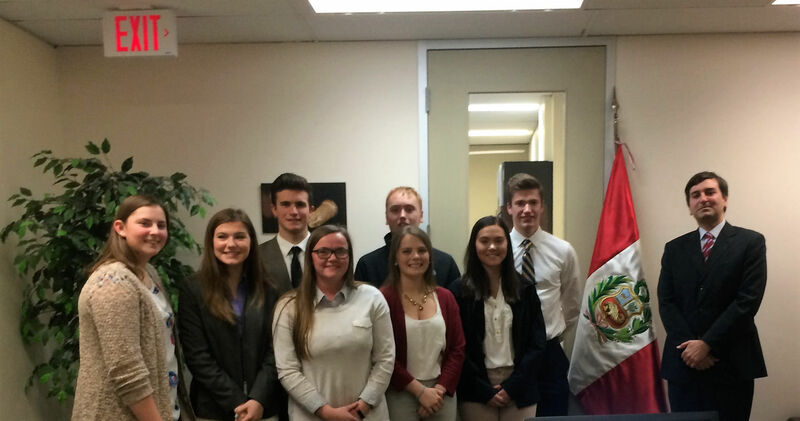 As requested by the State University of New York at Plattsburgh (USA), a group of students from this University visited the Embassy of Peru in Canada as part of their preparation to participate in the XXXVIII Washington Model of the Organization of American States (WMOAS), which will be held from March 25th to 30th 2018. The students were accompanied by Stuart F. Voss, Distinguished Service Professor of History and Latin American Studies and Miguella Hernandez, administrative staff of the university. 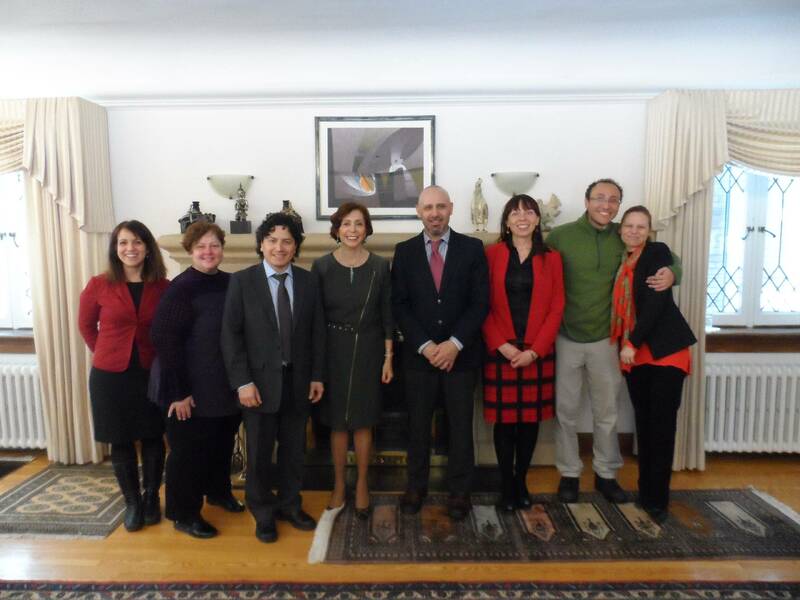 The purpose of the academic visit was to provide the students –whom will represent Chile in the WMOAS- information about Peru as well as the current status of its bilateral relations with the region. Counsellor Bruno Iriarte made a presentation about these topics and answered questions from the students regarding the most important matters currently discussed at the Organizations of American States. 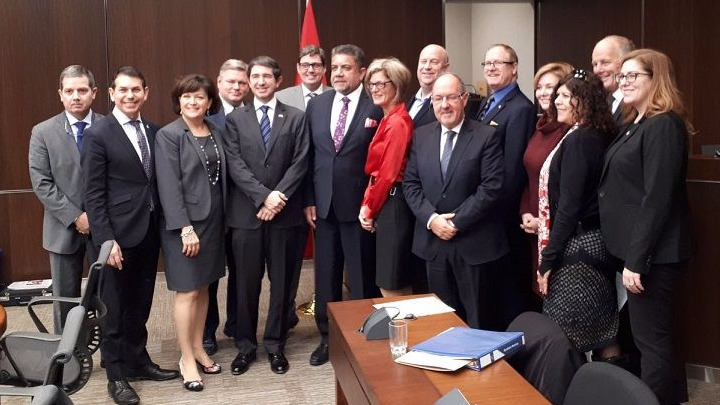 The past February 13th, the Standing Committee on International Trade of the House of Commons of the Canadian Parliament invited all the Embassies of the country members of the Pacific Alliance (Chile, Colombia, Mexico and Peru) to participate in a session of this Committee. The purpose of this invitation was to have more information about the vision of each one of these countries regarding the agreement that the Pacific Alliance is currently negotiating with Canada, as well with Australia, New Zealand and Singapore to incorporate them as Associate Members of the Pacific Alliance. 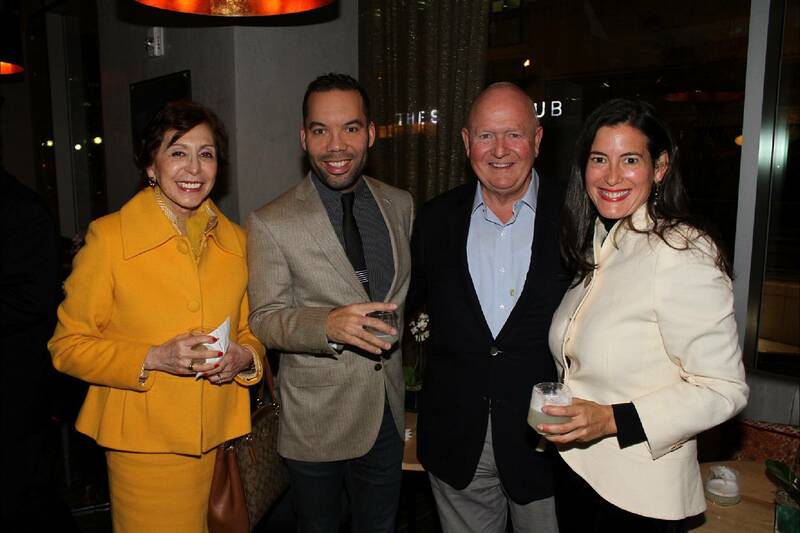 Minister Carlos Gil de Montes participated on behalf of the Embassy of Peru. 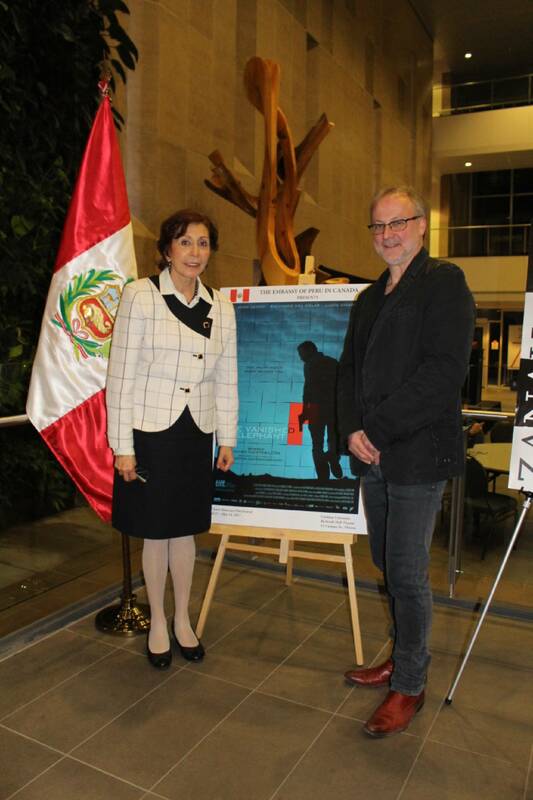 The Peruvian film “The Vanished Elephant” directed by Javier Fuentes-León was shown on May 12th 2017 at the 21st Latin American Film Festival, organized by the Canadian Film Institute from April 25th to May 13th 2017. 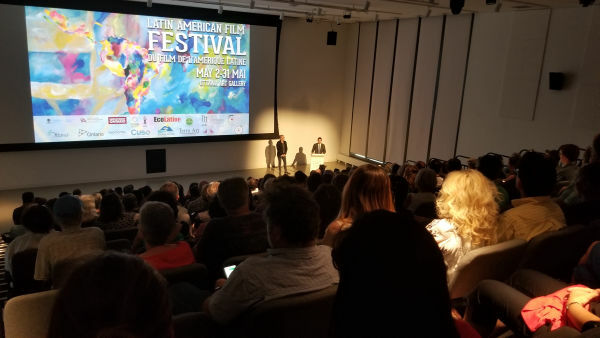 Before the screening, Ambassador of Peru, Marcela López Bravo, welcomed the holding of the festival as an expression of the Latin American culture and an opportunity to bring it to the local public. 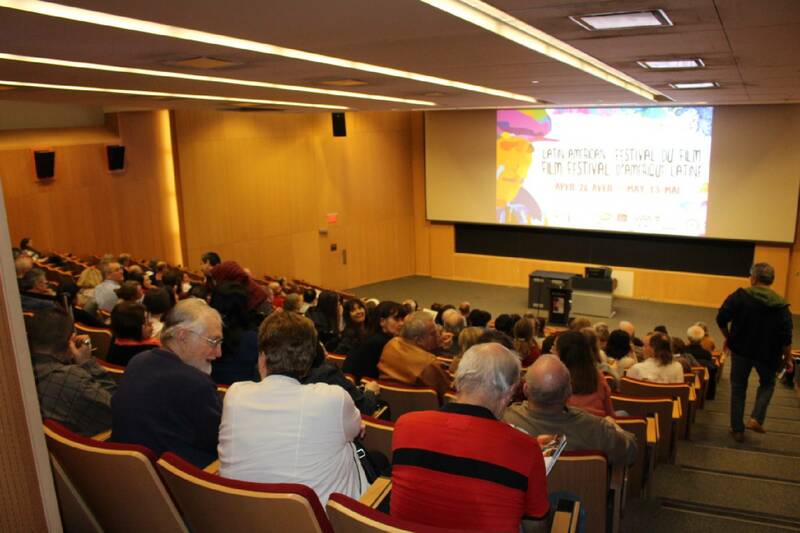 The film was shown at the University of Carleton (River Building) where the festival was held. The screening was preceded by a musical video of the solidarity campaign “Una sola fuerza” (for the victims of the recent floodings in Peru), as well as a tourist promotion video of Peru. Some special remarks from the Peruvian Minister of Culture, Salvador del Solar, who played the lead role in the film, were also presented. The film was very well received by the public, who massively attended the screening. 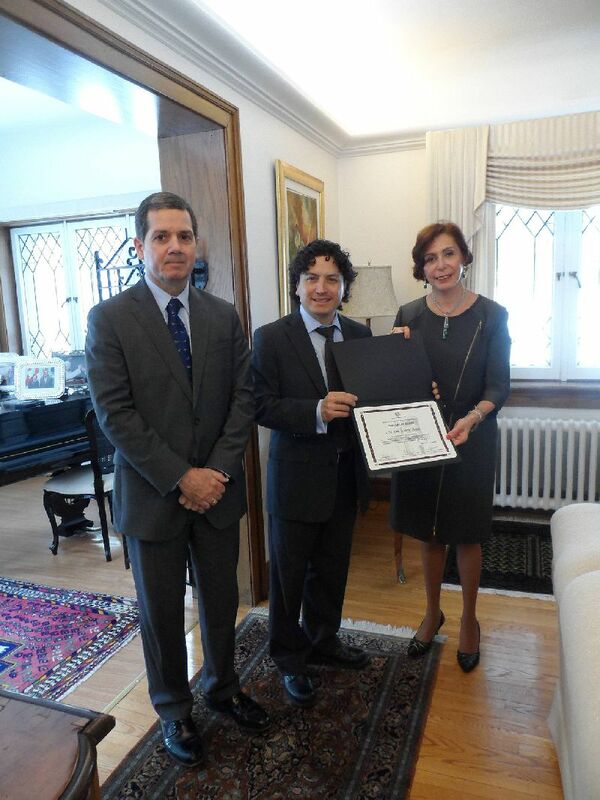 a diploma of recognition was awarded to the Peruvian citizen Luis Abanto, given by the Government of Peru within the framework of the celebration of the “Day of Peruvians abroad” and for his outstanding work for the promotion of Peruvian culture and his collaboration for the activities that the Embassy of Peru has been organising in the recent years. 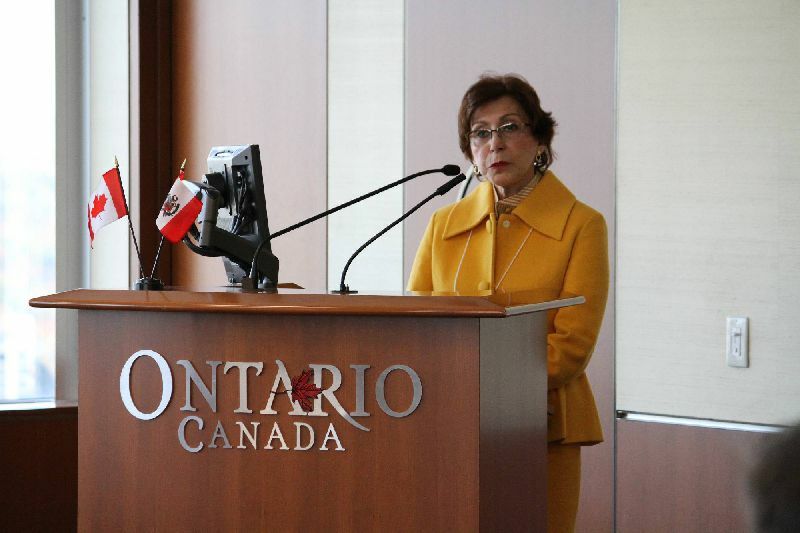 The ceremony was attended by directive and academic staff of the University of Ottawa, where Mr. Abanto serves as Director of Spanish Undergraduate Studies (B.A) and Spanish Language Program Coordinator, as well as important members of the Peruvian community in Ottawa, former Presidents of Peruvian Associations and former awardees of the abovementioned recognition, like Mrs. Gloria Castro, who received the diploma in 2013. 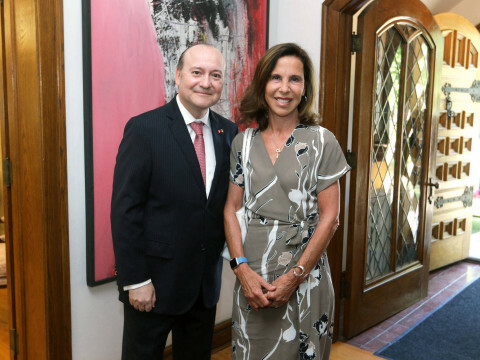 In her speech, Ambassador Lopez Bravo highlighted Mr. Abantos’ important academic career as well as his valuable support for the promotion of Peruvian culture and his remarkable work with the Peruvian community in Ottawa. 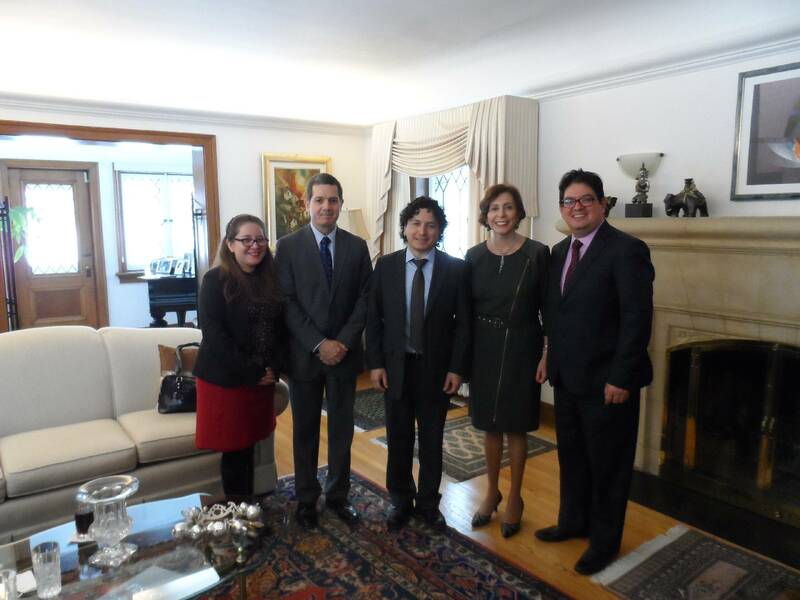 Ambassador Lopez Bravo also thanked Mr. Abanto for his constant collaboration in the several activities and events that the Embassy has promoted in the recent years, especially the event “At Home Abroad: Inca Garcilaso de la Vega as a Peruvian Migrant”, which was held on September 2016 and the “Eighth International Conference of Peruvianists Abroad: Peru in its Culture” which will be held on March 23rd to 25th 2017. 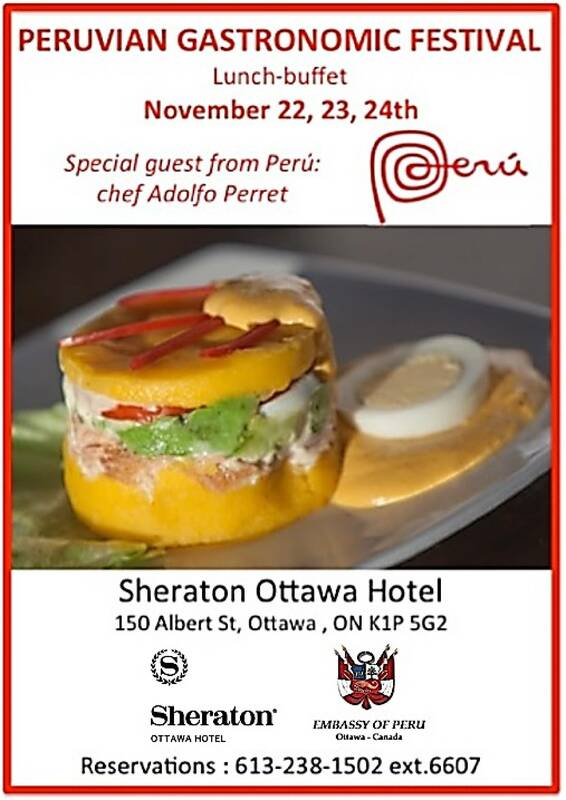 The Embassy of Peru organized with great success, the Peruvian Gastronomic Festival, which was held from November 22nd to 24th 2016 at Sheraton Ottawa Hotel. 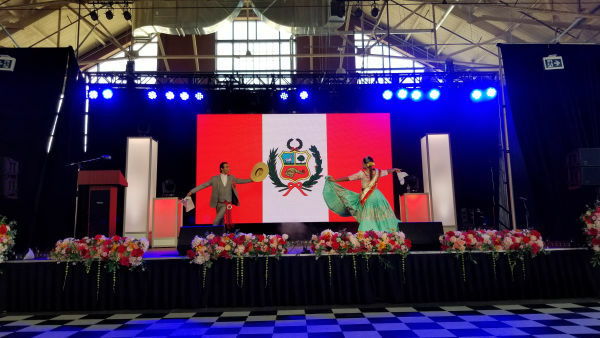 The event, organized during lunchtime, offered to all participants the opportunity to taste the most emblematic dishes of the world-renowned Peruvian gastronomy, such as Cebiche, Causa, Lomo Saltado, Ají de Gallina, Seco de Cordero, Carapulcra, among others. These dishes were complemented with Peruvian Desserts such as Suspiro de Limeña, Delicia de Lucuma, Crema Volteada de Quinua, Mazamorra Morada, and our National Drink, Pisco Sour. The festival included the participation of Peruvian chef Adolfo Perret, a renowned chef with 30 years of experience in Peruvian Cuisine, and participation in more than 70 gastronomic festivals around the world. 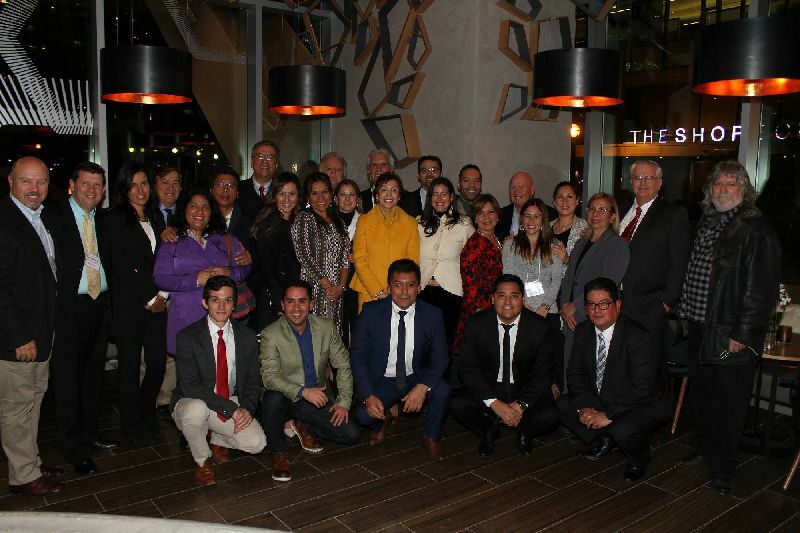 The quality and variety of the Peruvian cuisine was highly appreciated by all participants (Canadian government officers, private sector representatives, members of the Peruvian community, diplomatic officers from several embassies, Sheraton guests and gastronomic critics). Peruvian Chef Adolfo Perret offered also a demonstration-class of Peruvian cuisine (“Three Cebiches, Three Stories”), at Le Cordon Bleu Ottawa, which was attended by gastronomy students and special guests. In order to promote our extraordinary Peruvian Gastronomy, the Embassy of Peru in Canada will organise, from 22 to 24 November, the “Peruvian Gastronomic Festival”, which will be held at the Sheraton Hotel (150 Albert St. Ottawa ON, K1P 5G2), from 12:00 to 3:00 pm. This event will have the special participation of the renowned Peruvian chef Adolfo Perret. 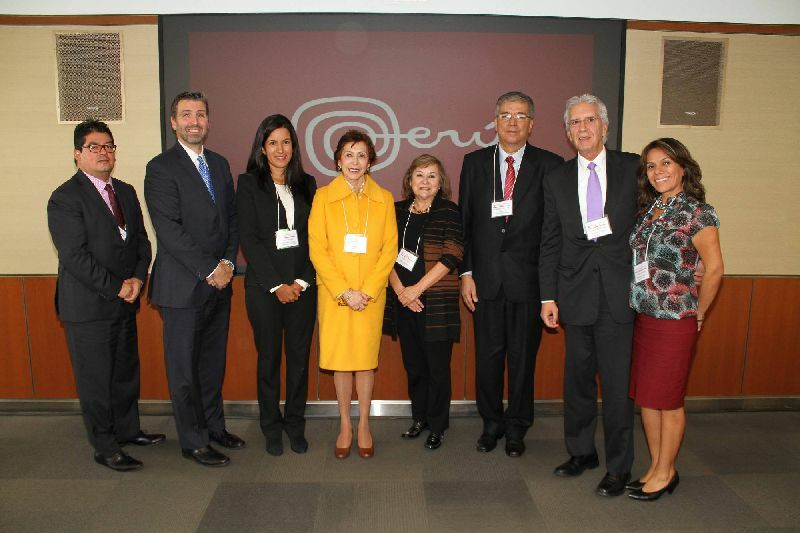 The Embassy of Peru, along with Peruvian-Canadian Chamber of Commerce recently hosted a successful “Roadshow of Investment and Trade” which was held on October 26th in the city of Toronto at Ontario Investment and Trade Center (OITC) facilities. The meeting gathered enterprises, guilds, associations, as well as Peruvian and Canadian authorities to talk about expectations of the Canadian market and draw economic agents to Peru's business and investment opportunities. Canadian enterprises to continue investing in the country, particularly in the infrastructure sector through energy, water, sanitation, transport, health, education and telecommunication projects. 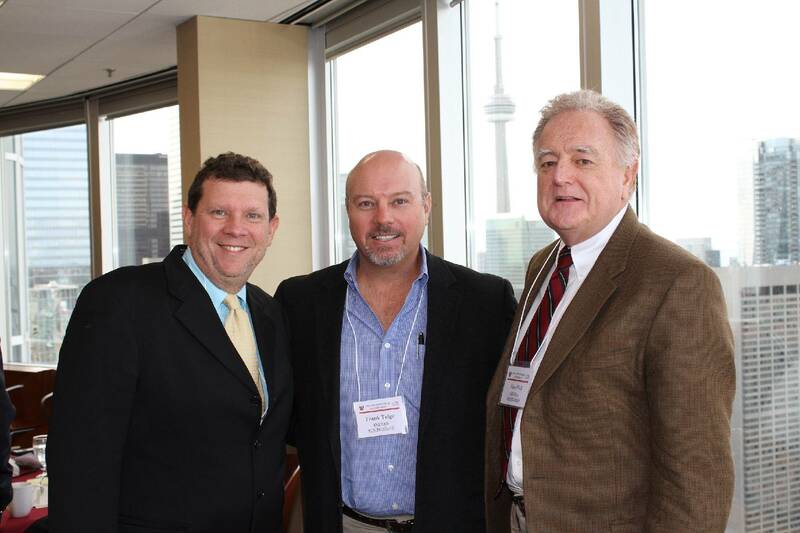 There were also important Canadian speakers such as representatives from Trade Facilitation Office (TFO Canada), Canadian Produce Marketing Association (CPMA) and Fruit & Vegetable Dispute Resolution Corporation (DRC). Other relevant participants were Canadian enterprises holding investments in the Andean nation, such as mining companies Vena Resources and Hudbay Minerals, as well as multinational Scotiabank. 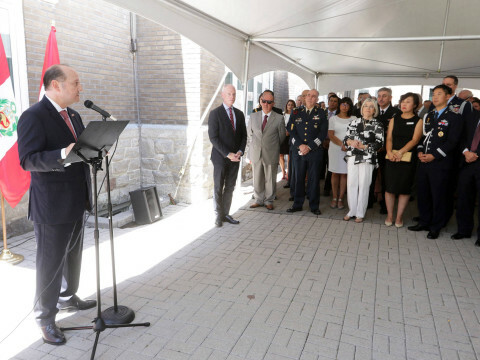 The event was also attended by the Canadian Foreign Affairs Ministry, the Canadian Trade Commissioner Service in Toronto and the Canadian Council for the Americas (CCA). 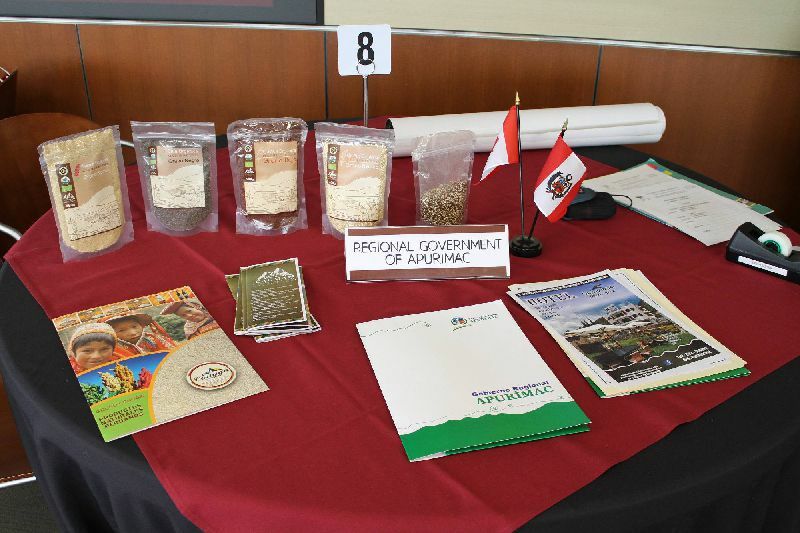 The roadshow also featured business rounds in which Peruvian enterprises were able to establish direct contact and present their products to Canadian counterparts. Peruvian companies also shared their experience in other international markets and learned about exporting to the Canadian market. The companies that participated in the event were from agricultural, organic, agro-industrial, Pisco, jewelry and textile sectors: Agricola los Medanos (agricultural company), Andean Sun Produce (fruit and vegetables), Corporacion APEISA (fruit and vegetables), Depayser Export (textile exporters), Golden Bridge Jewels, Las Margaritas and MacchuPisco. 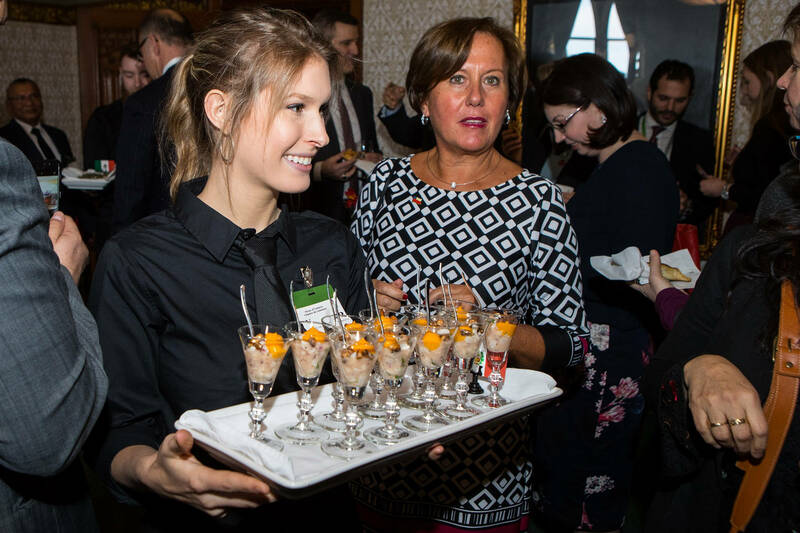 For Canadian side, participating enterprises were major retailers Metro and Sobeys, as well as Monco Produce Inc., Gambles Ontario Produce, National Produce Marketing, North American Produce Buyers, Woodman Wines & Spirits, Oppenheimer Group and Ritz Carlton Hotel's Banquets and Beverages Management. 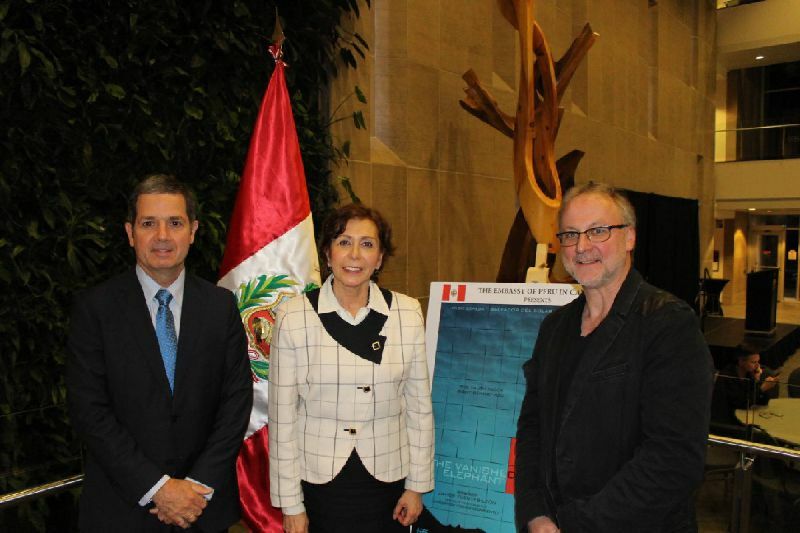 Ambassador Marcela Lopez Bravo, ambassador of Peru in Canada, Ms. Melanie Acher, CEO of MacchuPisco, Mr. Russell Woodman (right) and guest, Woodman Wines & Spirits.